As we approach the time of the year where Apple could begin releasing the next iPhone, rumours are inevitably beginning to ramp up. We’ve already heard that Apple may be looking at releasing two models for the next iPhone iteration: a 4.7-inch device and a 5.6-inch one. However, a recent source suggests that the larger of the two devices won’t actually use the iPhone branding and instead is being referred to another branding name since it is still apparently classed as an experimental device. Since all previous mobile devices we’ve seen Apple release have used the iPhone branding, it seems difficult to understand how or why Apple will change this with a larger mobile device. Sources have claimed that these two new iPhone 6 devices will be released in the third quarter of 2014, probably around September. As such, we can expect to see mass production ramping up in July, and inevitably also the leaks which usually happen when a device hits the production lines. The 4.7-inch version of the iPhone 6 will reportedly feature Corning’s Gorilla Glass, like previous handsets, whereas the 5.6-inch model will apparently feature a sapphire-strengthened display taking advantage of Apple’s new partnership with GT Advanced. The larger 5.5-inch iPhone 6 – or whatever Apple decide to call it – is expected to be short of supply at launch because of the new sapphire component. 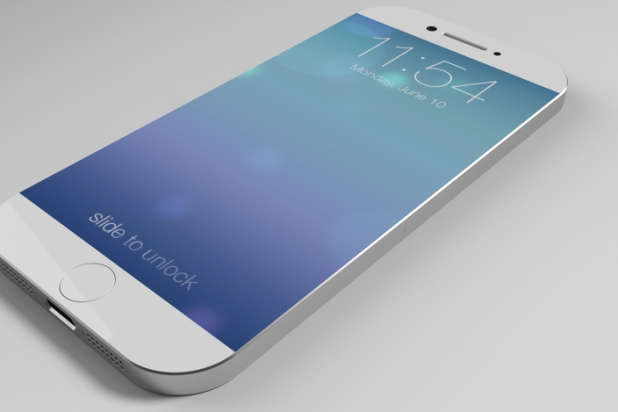 Will it be the iPhone 6? The question as to what the larger iPhone 6 will actually be called is an interesting one, since Apple rumours always teased, albeit briefly, that there will be a hybrid device of a cross between an iPad/iPhone and a MacBook Pro. Could it be that the rumour of a change of name would indicate that this new device would fit into a new product category, and if so, what?